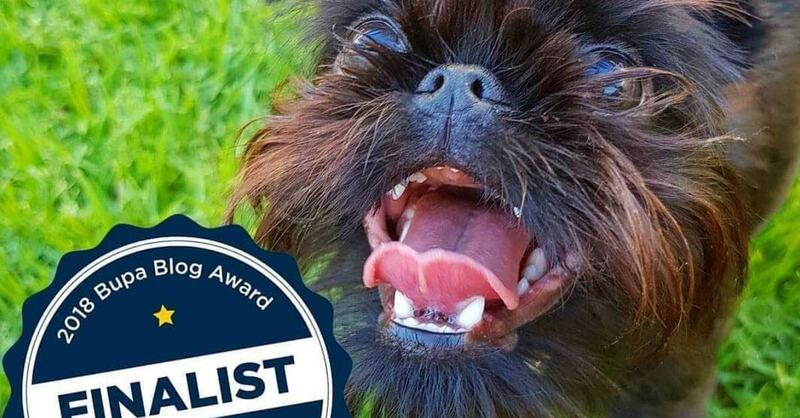 Power Pets are furrociously excited to announce that four of our uber-talented pet identities have been named as finalists in the Bupa Blog Awards 2018. The winners will be announced on October 29, but until then, get to know more about our talent-with-tails. Now a published two-time pawthor, Instagram star and charity ambassadog, Life of Pikelet’s life wasn’t always so woofin’ glamourous. Back in 2013, alone and vulnerable, Pikelet the red Staffy puppy found himself on death row at a council pound inSydney. In a last minute twist of fate, Pikelet was rescued by the friendly folks at Big Dog Rescue – they found him a foster family who have been by his side ever since. He found fame as an Instagram and Facebook pawsonality, and has gone on to publish two memoirs on his life as a quite literal underdog with Penguin Random House. Now on a mission to change what it means to be a rescue dog in Australia, Pikelet and his family of hoomans and furry brothers and sisters have provided foster care and rehoming for over 50 animals, and raised over $150,000 for animal welfare causes. Pikelet is pawfect pwoof that ‘rescue’ is the best breed there is. Known as the ‘real life meme’, 1 year old Brussels Griffon, Squid, is living pwoof that looks aren’t everything. Having embraced his differences, Squid has raised the woof on the Instagram and blogosphere! With a followership growing faster than a Kardashian baby bump, Squid’s landed himself a feature gig on TV, and a string of brand collaborations that have connected with millions of fans worldwide. You can grab the Squid the Griff 2019 calendar for your daily dose of Squid, or catch him Squiddin’ around on Instagram and Facebook. Miniature Daschund Frankie lives by the rule that size most certainly doesn’t matter. Embracing her tiny size and slamming shade from critics has seen Frankie grace the gloss ypages of Vogue and be dubbed the Gigi Hadid of the dog world. Her pawfect modeling skills have landed her contracts with some of the world’s most loved fashion brands, but the harsh industry hasn’t rubbed off on resilient Frankie.Often spotted flaunting her petite curves on Melbourne’s beaches, Frankie loves nothing more than skinny dipping in the ocean, and says she’s comfortable in her own fur. Find her on Instagram and Facebook for all the fashun-and-dashun goodies. Queensland-based blonde bombshells Charlie and Frankie are a Cocker Spaniel duo loved, pampurred and curated by their owner, Jess. Ambassadogs for some of their favourite pet brands Charlie and Frankie love barking about brands that do good things. True beach bums, you can find Charlie and Frankie posing for photos on some of New South Wales’ best shores, and hanging out with other dog-fluencers (like Chloe and Snickers) that they’ve met along their journey to Instafame. Find the fair pair on Instagram and Facebook. Power Pets are proud to represent these four finalists and our portfolio of animals with influence. If you’d like to work with any of our talent to tell your brand story, we’d love to hear from you.